Let’s check them out and know what we can expect from the next week. Zoom already gathered an army of metahumans from Earth 2 and had brought them to Earth 1 to announce an open attack on Central City. Zoloman hired Black Siren to lead the army. Wally and Barry get on the streets to fight metahumans and stop Zoom for once and all. Zoom will reveal his true plan for visiting the Earth 1 and for causing such a heavy destruction on Barry’s earth. Well, the real intention of Zoom is not known yet. But it is certain that nobody from the Team Flash will be happy about it. Barry will vow to stop Hunter Zoloman from taking over the city. Fans can expect an ultimate face-off between Barry and Zoom as Allen will put everything on the line to defeat the villain speedster. Meanwhile, director Kevin Smith shared the details from the final episodes of the current season. “They got [me] the breakdown of what the last two episodes are, and there was something that happened in the episode after mine [after episode 21] – and it includes you [Teddy Sears] in a big, bad way, and I was like Arghhh [screams]. I wished that I was directing it because it is mad genius!” Smith said. In the above podcast Fatman on Batman, Smith teased an absolute shocking finale. According to him, it will end big. Thus, the fans should prepare themselves for the ultimate race and a “good guy vs. bad guy” showdown. “Obviously Zoom is going to face off with Barry Allen… they are going to have a thing… which they have to do, they have to sort of meet in the final… draw sprint off,” Sears added. We may see Wally and Jesse as speedsters helping Barry. The pictures released for it suggests a funeral scene. Other images see both Barry Allen/The Flash wearing a black suite and Iris West covered in a blanket sitting on steps of Joe West’s (Jesse L. Martin) house. It looks like some important character is going to die. It may be Detective Joe West himself as teased by Tom Cavanagh during an interview. Below is the official synopsis released by the network, CW. When Zoom (Teddy Sears) finally reveals his true plan, Barry (Grant Gustin) is more determined than ever to stop him. The Flash Season 2 finale (episode 23) will air on May 24 at 8 pm the CW. Stay tuned for more news and updates. Previous articleAgents of SHIELD Season 4 Premiere (Release) Date: Is It The Finale Season? WHAT!!!!!!!!!!!!! Wally and Jesse are speedsters!!!!! WHAT THE WHAT!!!!!! I guess im so far behind im on episode 21 and they are speedsters!!!!!!!! spoiler i just want to know who wins the fight is it the flash or zoom!!!!!!?????? 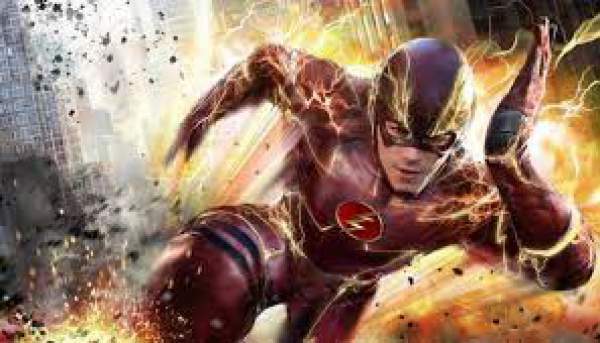 GO BARRY ALLEN AKA THE FLASH!!!!!!!!!!! Goodluck to barry, GO BARRY, GO!